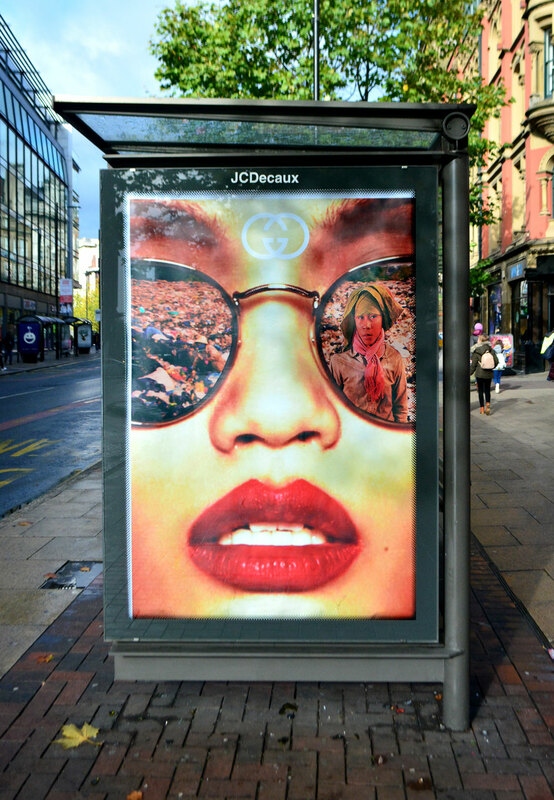 In support of New Internationalist magazine’s latest issue on Waste, Bill Posters has been taking the issues and conversations covered in the magazine into the streets of the UK to interrogate the reality and impacts of consumer waste in the spaces and places where we all consume. “Known as ‘Cottonopolis’, Manchester was the world’s first metropolis and the epicentre for the global cotton industry. Manchester has a long history in relation to industrial textile production, shipping and distribution around the world. It seems fitting that we start this series of interventions here, amidst the streets, warehouses, factories and canals built off the back of slavery and exploitation linked to the textile trade so many centuries ago.